Dalcroze Eurhythmics is a unique approach to the study of music. Based on rhythm as the primary factor that bridges what we hear with what we do, Eurhythmics can be used in the choral setting to develop rhythmic independence in the singers, inner hearing, and the nuances in music. Through Dalcroze Eurhrythmics, singers can enjoy the benefits of purposeful expressive movement to enhance choral rehearsals and performances. 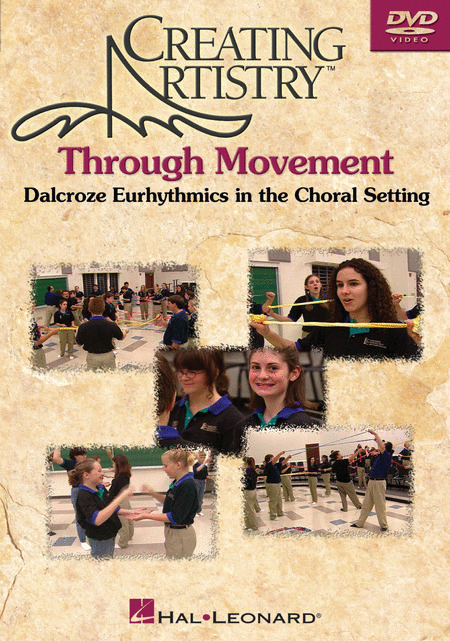 This 1-hour DVD provides detailed approaches to the use of Eurhythmics within the classroom or rehearsal setting and offers a guide to building choral artistry through movement.